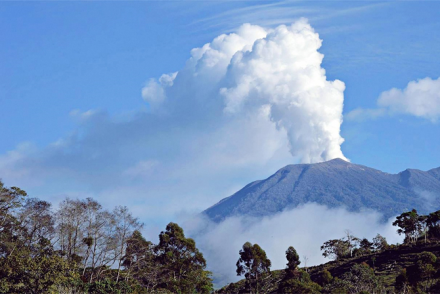 Costa Rica has made a name for itself by being at the forefront of innovation in coffee processing methods. 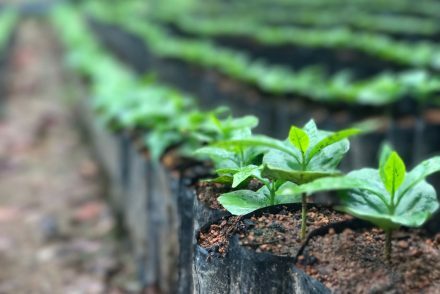 Particularly famous for the honey process, producers and mills around the country are enthusiastically pursue innovations that can enhance their coffee’s flavor profile. Recently a new processing method called anaerobic processing has been turning heads, causing cuppers to ask, “What is the secret behind this coffee’s unique taste?” This method is somewhat different than what we normally see, and Luis Eduardo Campos from San Ramón de Alajuela has worked on perfecting this process at his mill Cordillera de Fuego. In general, anaerobic means oxygen-free. You might ask, how is this done with coffee where fermentation tanks are typically in open spaces? Answer: the coffee is placed into hermetically-sealed, stainless steel containers. Aside from yielding new, unexpected flavors, the anaerobic process provides a high level of control of the sugars, temperature, pressure, pH and time. There are some facts we need to review before learning how this works. First of all, the flavor of the coffee fruit is concentrated in the juice, not the seeds. 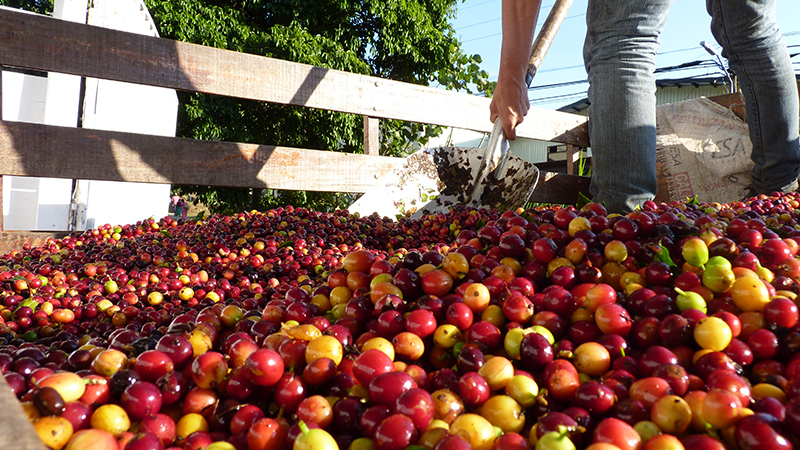 Coffee cherries are the fruit of the shrub and the sugars are contained in the mucilage. The concentration of sugars and flavors depends on the variety, ripeness of the fruit, and type of soil among other factors. Now let’s move on to the process. First the coffee is depulped and the seeds are placed inside the fermentation tanks. The separated mucilage is then tightly packed into a gel-like consistency and added to the fermentation tank until it covers the entire parchment. The tank is then sealed and the O2 that is produced from the anaerobic process creates pressure inside the tank. The process lasts between 18 to 23 hours – long enough for the mucilage to be consumed, but not so long that alcohol is produced. After 15 hours the pH needs to be constantly controlled to determine how the fermentation is progressing. The pressure created by the CO2 allows the flavors of the coffee juices to be injected into the parchment. Once the fermentation has concluded the tanks are opened (carefully!!! Due to the high pressure). 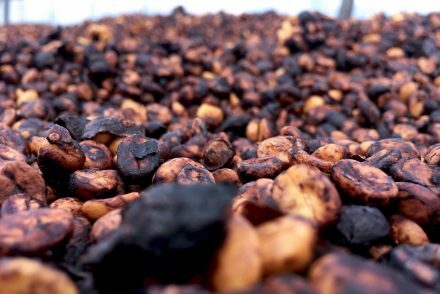 The coffee is then sun dried for at least 4 hours otherwise the fermentation might continue and the flavors would change. Two different coffees from two different regions were used in our Anaerobico Cordillera del Fuego: Tarrazú and West Valley (from Zarcero, to be exact). Both coffees were cultivated between the 1400 and 1500 masl; caturra and catuaí. This sounds like a very typical Costa Rican coffee, right? That’s where the anaerobic process comes into action. The creamy texture of this coffee will get your attention immediately, along with its floral and cinnamon notes; it also has an excellent acidity. These complex notes relate directly back to the fermentation process. Taste the difference! Coffee Growing Is Hard. Volcafe Way Is Helping.